Lord of the Rings Parody! 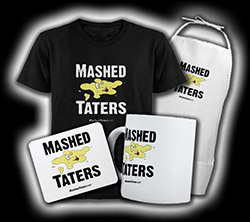 You can now get official Mashed Taters stuff, provided exclusively by MashedTaters.net! Now you too can honor the great legacy of the Mashed Taters parody both online and offline! Get it now from CafePress.com!